Fun and colorful boho bracelet with trade beads and tassels. Choose pink, purple or blue. (with tassels). Vintage pink has no tassels. 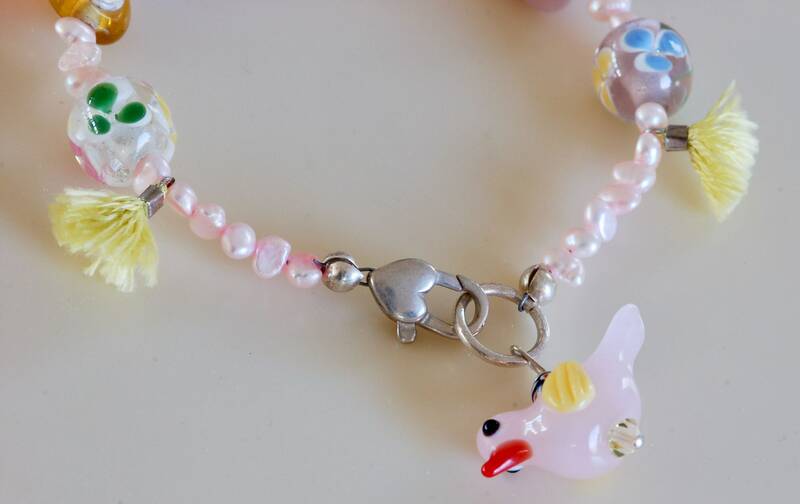 Pink and yellow: soft pink pearls, fun glass beads in pinks, clear and yellow. 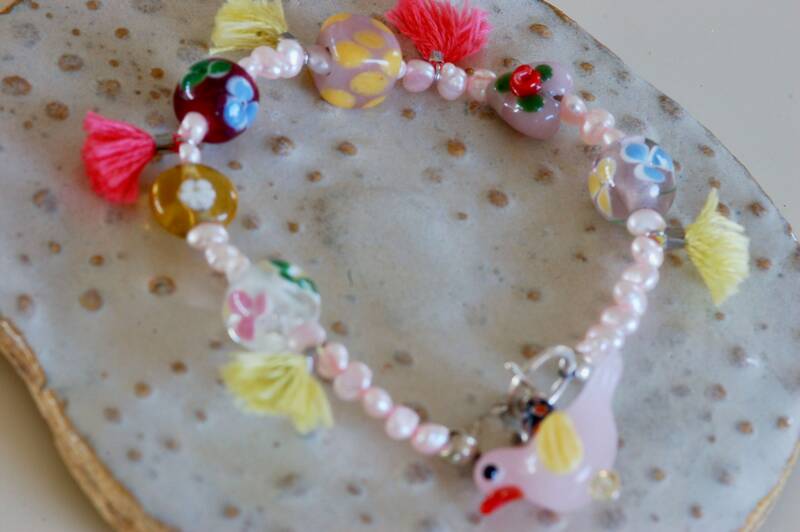 Pink glass birdy, red and yellow tassels. 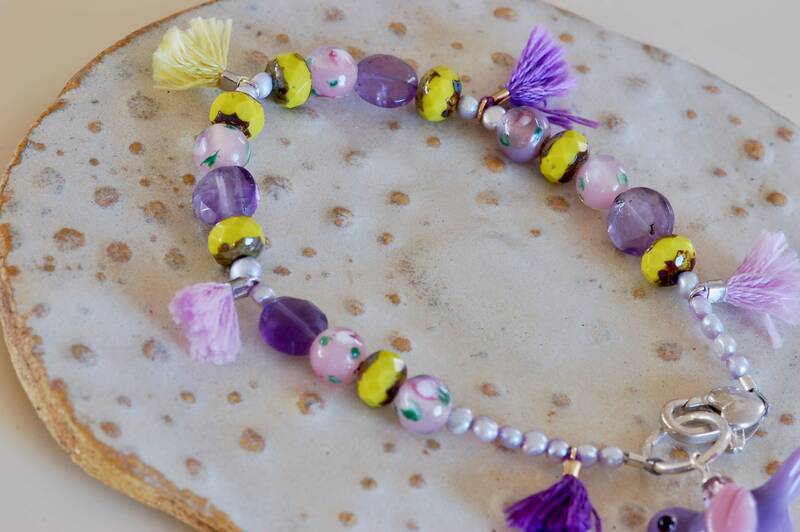 Purple and yellow: Amethyst stone, pink glass, and yellowish/green chech glass. 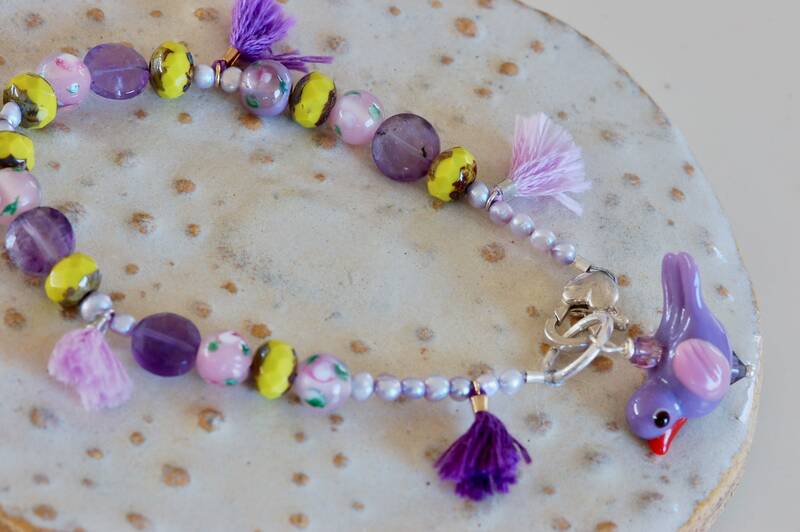 Purple and pink glass birdy and purple and yellow tassel. 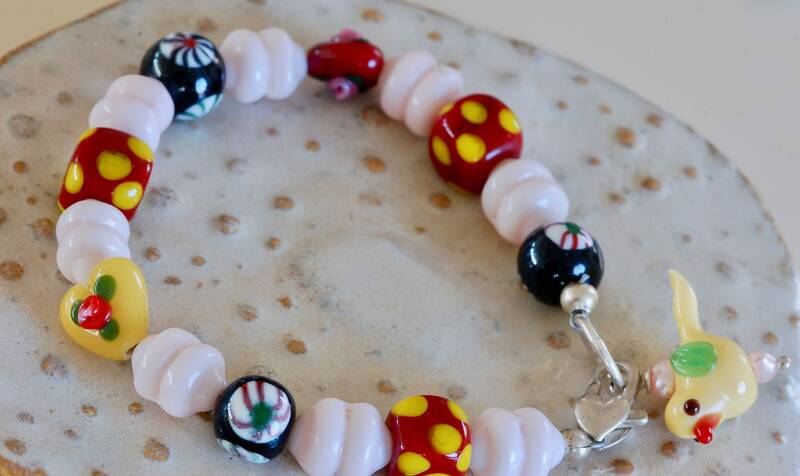 Pink Vintage glass (no tassel): Red polka dot glass bead, black flower bead, yellow glass heart and pretty pink vintage glass bead. Tassel Bracelet length is 7 1/4 inches but I can extend with extra links if needed. Sterling silver lobster heart clasp. 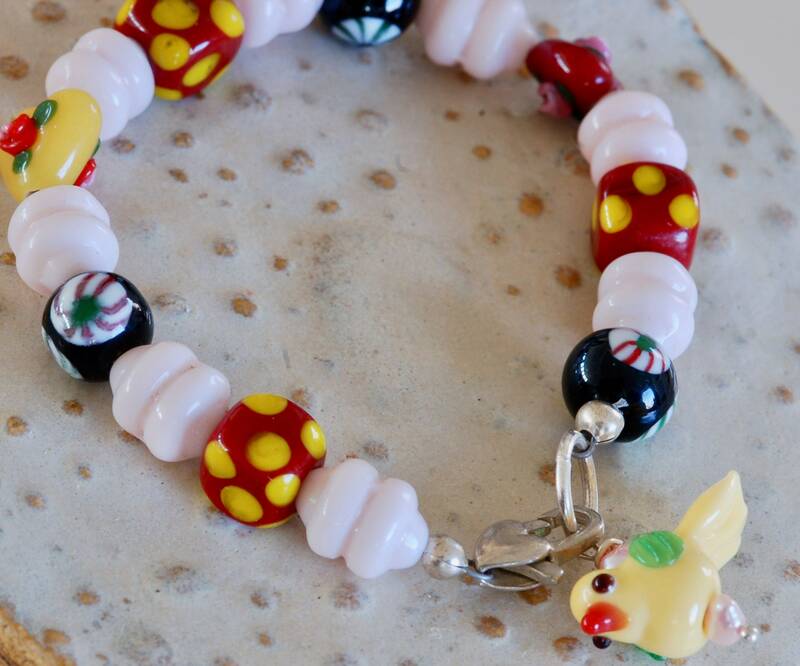 Vintage glass bracelet is 7 5/8 inches. Convo me with any questions.. I am happy to make a fine silver name charm to add on (for additional cost of $15.00).